SlowVenice is the brand name under which we offer accompanied tours of Venice and its Lagoon based on the principles of environmental and social sustainability. Limosa Tour Operator is a leading company within the SlowVenice Network – a network of local tourist enterprises with deep roots in the Venice’s ‘gronda lagunare’ – the marshland where the Lagoon meets the mainland stretching from Chioggia to the Cavallino Coast. Together we would like to offer you all the ingredients that go to make up what we call a “slow” holiday, that is to say, a different kind of holiday where the principles of authenticity and sustainability are blended with local culture and traditions. team of expert environmental local guides with educational skills, to meet the needs of our younger guests. Our professionalism is fed by shared passions: we like to work together, mix and enhance our differing talents, and have common interests and values which define us. Our ambition is to offer excellence; to make our guests’ experience of discovery come alive in the shared satisfaction of visiting and treating beautiful and fragile places with respect. Our unique selling point is our deep local roots and the trust we have won from our clients, both private and corporate. Our Venice Lagoon holidays have won prizes and numerous awards; we have joined forces with a wide range of public bodies on European cooperation projects to enhance our region; and we are proud and yet at the same time respectfully conscious of the trust that so many hundreds of loyal customers have placed in us. Public relations, sales & marketing management. Manager of the business network SlowVenice Network. 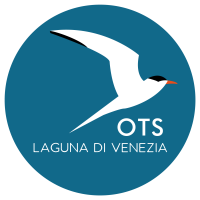 President of OTS — Italian association of Operators of Sustainable Tourism Lagoon of Venice. Giovanni CortesiaGuide, school trips and tours.